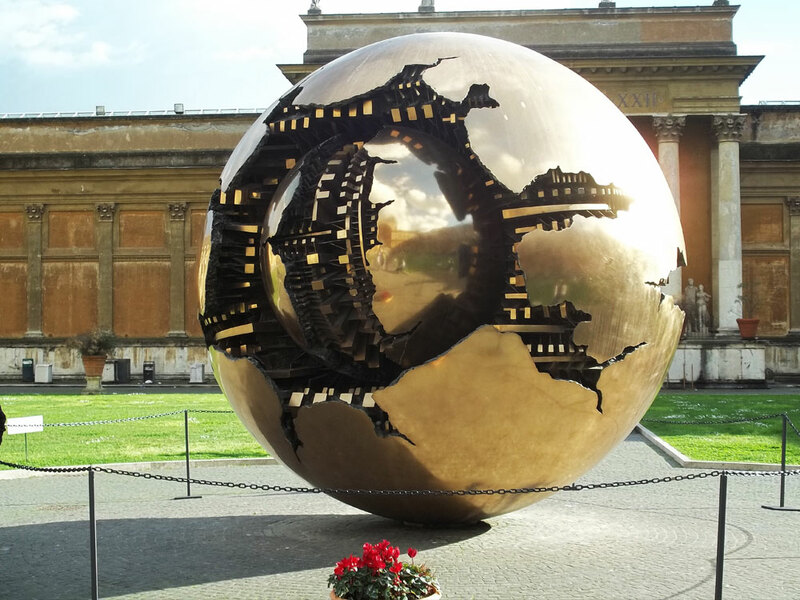 Vatican City January 2, 2015 · 8 min. readThis article may contain affiliate links. Today has been a long, yet eventful day. I got up at 4 AM, ate breakfast at 6 and was on the road to Rome by 6:45 AM. We drove for 3 hours, had a "lunch break" around 10, drove for 2 more hours, had a "pee break" and by 1 PM I began seeing the signs for Rome. The country-side between Venice and Rome is spectacular. There are mountains, rivers, orchards, swamps, forests and villages. You can never guess what you'll see next! A few times I moved and sat at the front of the coach just to watch the scenery in awe. One village we passed was built on and around a plateaued mountain. Flip said it used to be a fortress long ago and could easily hold back enemy siege. It would be amazing (and rather frightening) to open the windows of a house perched on the edge of the mountain and see a sixty-foot drop below. We cruised past orchards with scrap-metal huts like the ones I saw back in London. We also saw mouldy, rotting, collapsed stone and wooden farms that seemed to have been abandoned hundreds of years ago. Although all roads lead to Rome, this road not only wound through an endless array of beautiful, dazzling, amazing and incredible sights, but it also got us to Rome an hour early. That's right: we got there an hour before we expected and were thus able to go to Vatican City!! Once we got off the coach, Flip warned us that the cars in Rome don't stop at cross-walks. She told us that you must make eye-contact with the driver first, snarl at them, ignore them and then strut across the street like you own it. I tried all four steps, but I think my strut looks more like a waddle. We reached the Vatican Gate and followed a long line of people down the walls. Flip said that in the summer, the line can sometimes be over 2 miles long! It wasn't that long today and we only waited for an hour and a half to get in. I got inside (for €40, or $53) and went into the museum -- which contains 40% of the world's art. 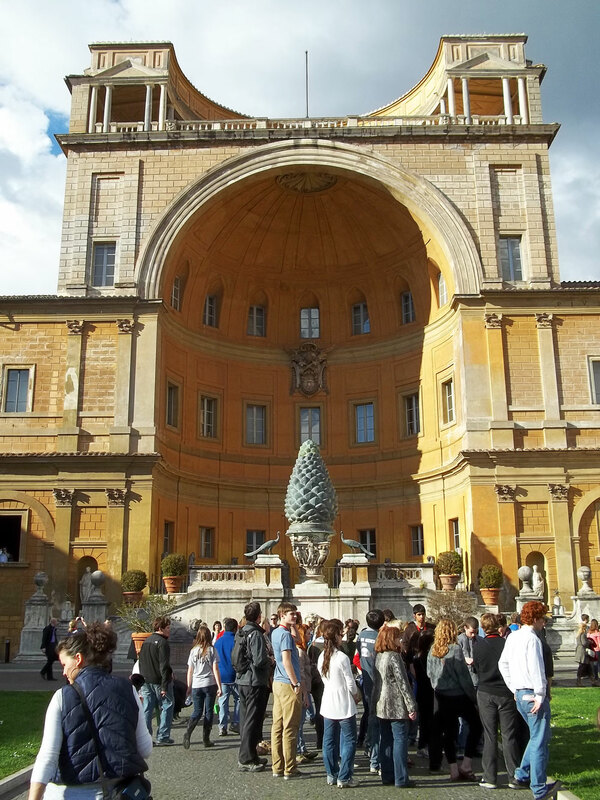 However, I wasn't interested in the Museo del Vaticano (it's not Wikipedia this time). I wanted to go to Piazza San Peitro (St. Peter's Square) and the Cappella Sistina (that's an old link. Here's another). 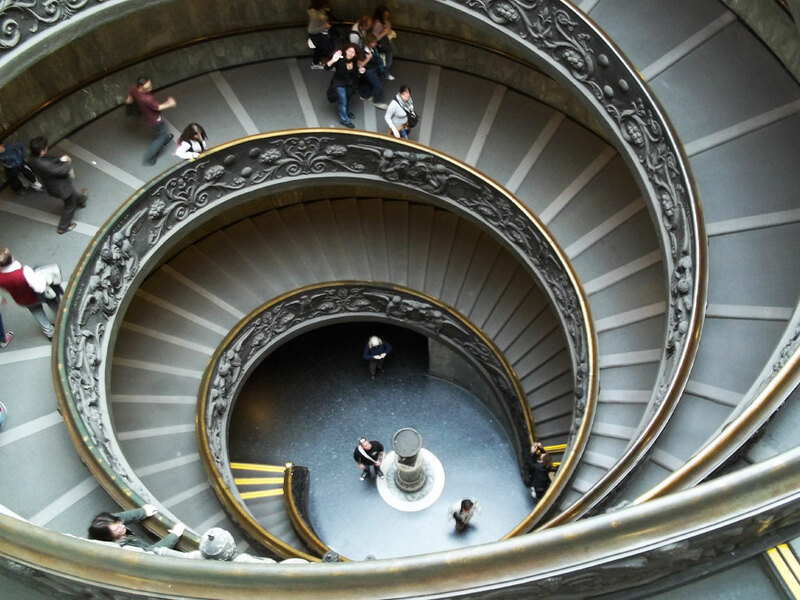 After taking a few pictures around the Museo del Vaticano and walking down a very steep spiral stair-case (only to walk back up again in lost confusion), I asked a guard for directions to Piazza San Peitro. He told me to go out the exit (which was down those stairs again...) and then turn right. I did that and, would you believe it, I was right back to where the line-up was outside to enter the Vatican! But, I learned in dismay that just a block around the corner the other way I went was the entrance gate to Piazza San Peitro!! As I got inside the plaza, I felt my stress melt away instantly. The grand columns were decorated with saints took away my breath, while the massive obelisk -- surrounded by two beautiful fountains -- stunned me. My feet were frozen to the ground. To my right was Saint Peter's Basilica (and the Wiki), the head of the Christian church, and to my right was a long road going down to Castel Sant'Angelo -- the newly famed church for the relevance of a "secret tunnel" between it and the Vatican, as glamorized as the Hassassin's house in "Angels & Demons". I considered entering St. Peter's Basicalla. I had gone half-way around the world to do it and it was the most beautiful church in all of Europe -- if not the world, but I decided not to. That was when I made a promise to return to Europe one day and see it... and because I had to meet back with the tour group in 10 minutes and the church was freakishly massive! I met up with the group then and began our walking tour. 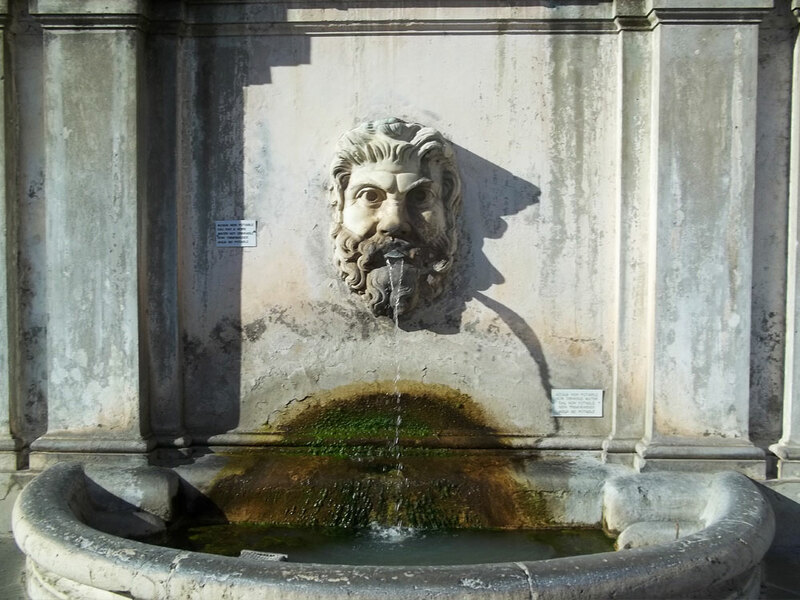 We walked past the Castel Sant'Angelo, across a bridge and to the Piazza Navona -- a beautiful plaza built in 1 AD. 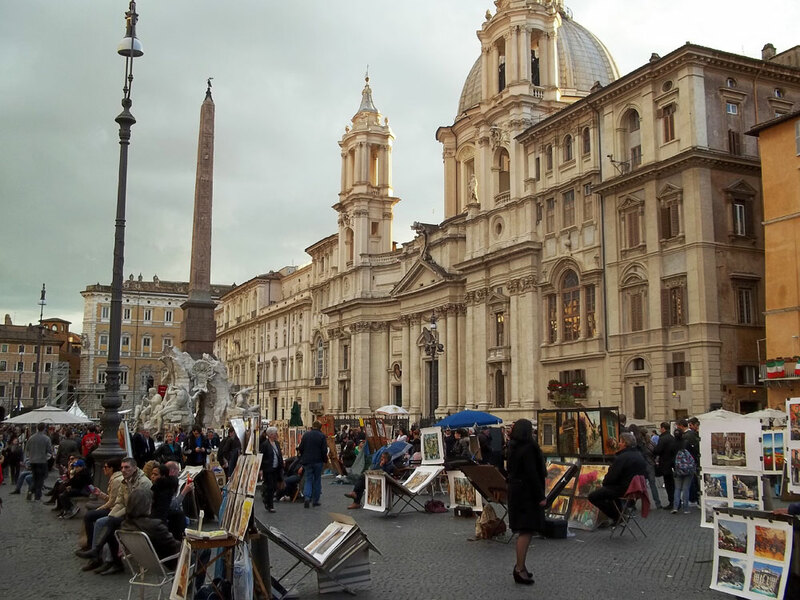 Here we saw hundreds of Italian artists sketching, painting, drawing and playing music. We then kept going and walked past a newly uncovered three-thousand year old arch... whose history I forget. 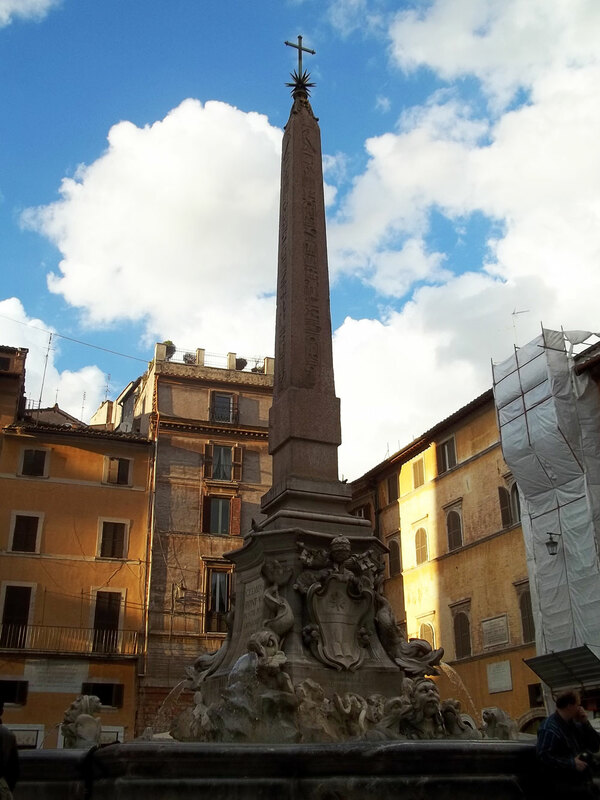 We kept going and walked past more plazas and more giant Egyptian obelisks. 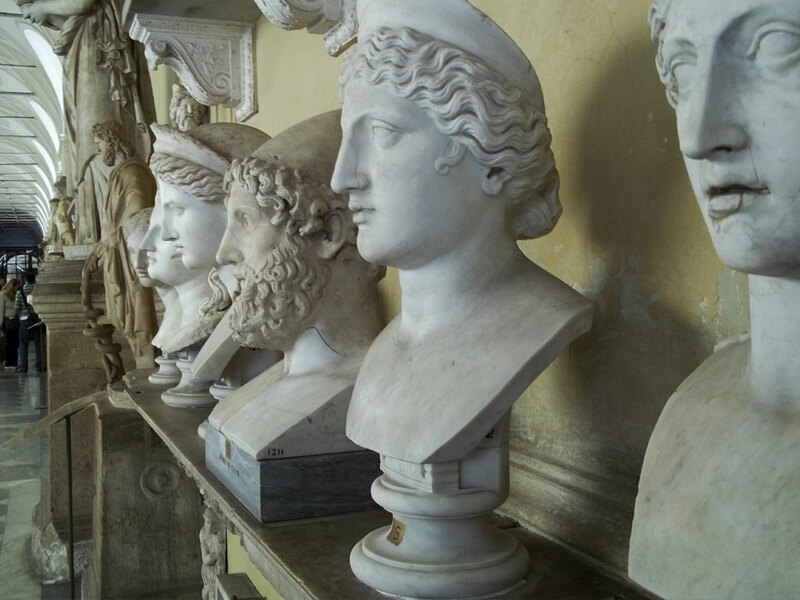 I asked Flip why there were so many Egyptian things in Rome and she told me it was because Rome and Egypt had very close ties, especially with the colourful history between Julius Cesar and Cleopatra! On our way to supper we also walked past the Pantheon. We were going to go inside, but there was a service going on so we couldn’t. The Pantheon used to be a Pagan church until Rome adopted Christianity and then everything that was inside of it was destroyed, and Christian relics replaced them. Just like in Munich, however, I plan to come back tomorrow and get some pictures of the inside of it. Finally, we reached the restaurant called the Risto Theatre and had an excellent 4-course meal, which I forget the contents of because I was so tired at that point. 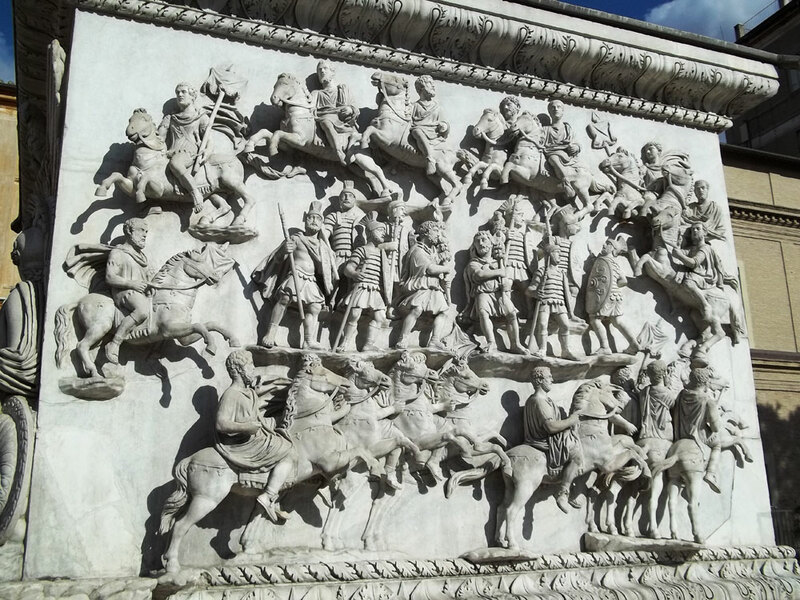 We then caught the coach for a quick trip to the Vittorio Emanuele, and then went back to the hotel. On the way, Flip told us to lock up our valuables in the hotel-room safe because tomorrow will be a FULL DAY spent in Rome. Because of that, it is also the only day on the trip that Muffin doesn't have to drive (can you imagine driving around as much as he has been?) and is currently in the bar down the street, along with the majority of the tour group. Tonight I have the room to myself -- although there are two beds -- and I plan to go bed very soon. Tomorrow should be another great day. 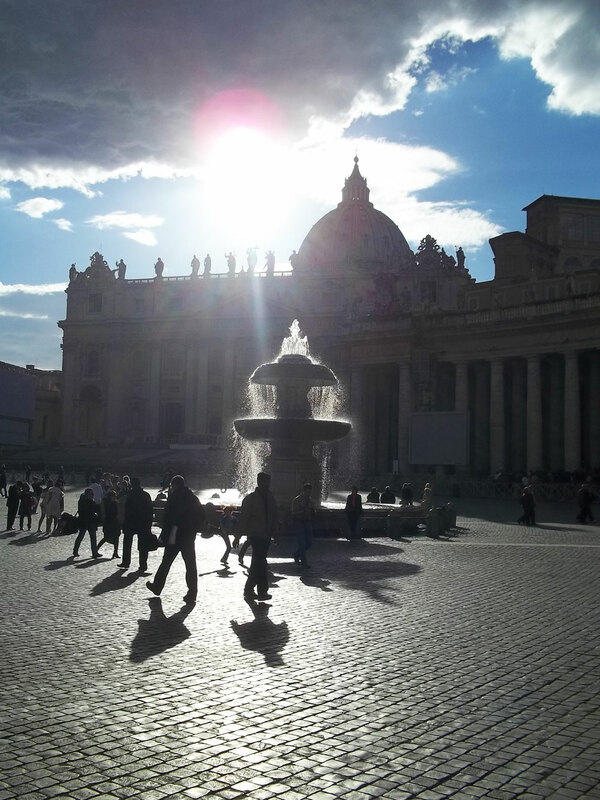 Rome is such an old, beautiful but graceful city! I'll tell you all about Rome tomorrow. Until then, as the Italian say, "ciao"!